Image provided by Jacques Krygier. Is a nice example of a die error and is quite big! 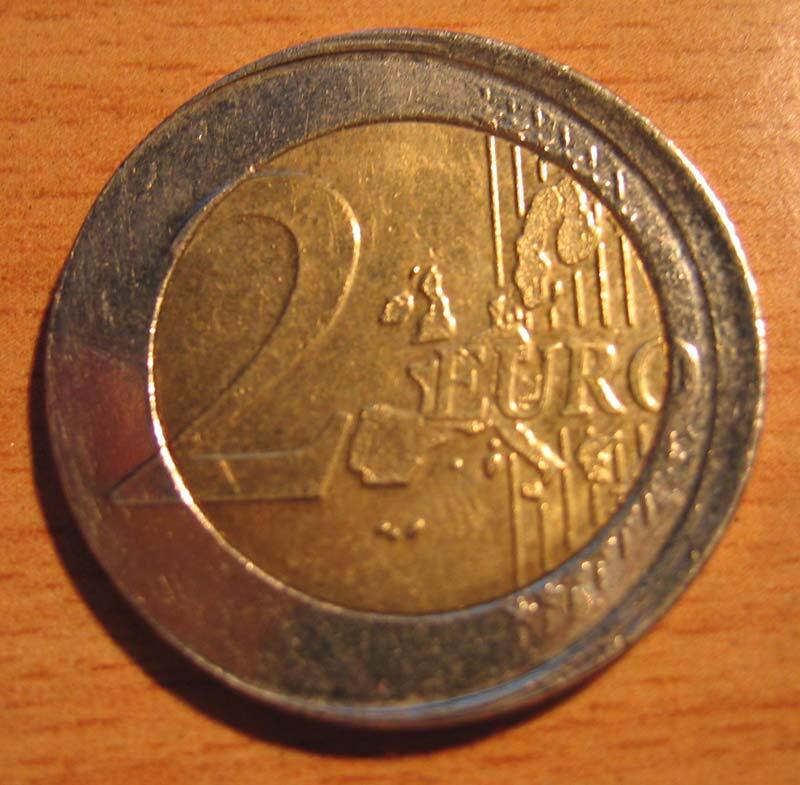 2 Euro 2000 from Belgium, that is struck off center. Thanks to Steven for this nice image. 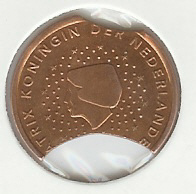 2 Cent 2004 from Belgium, that is a very evident die crack. 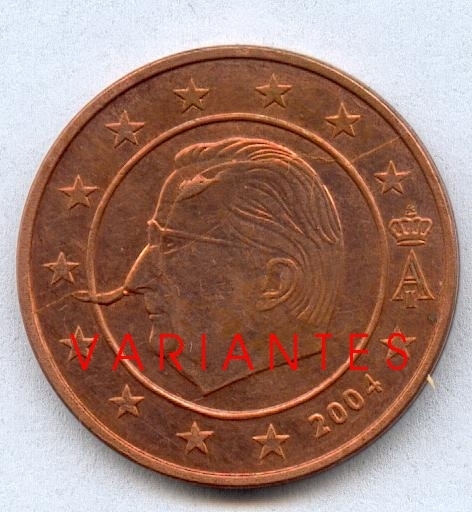 Thanks to José María Marín González (Variantes) for this nice image. 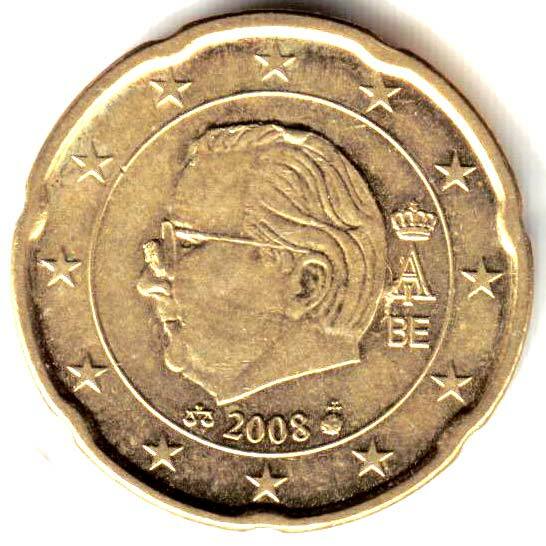 Belgium 20 cent 2008. 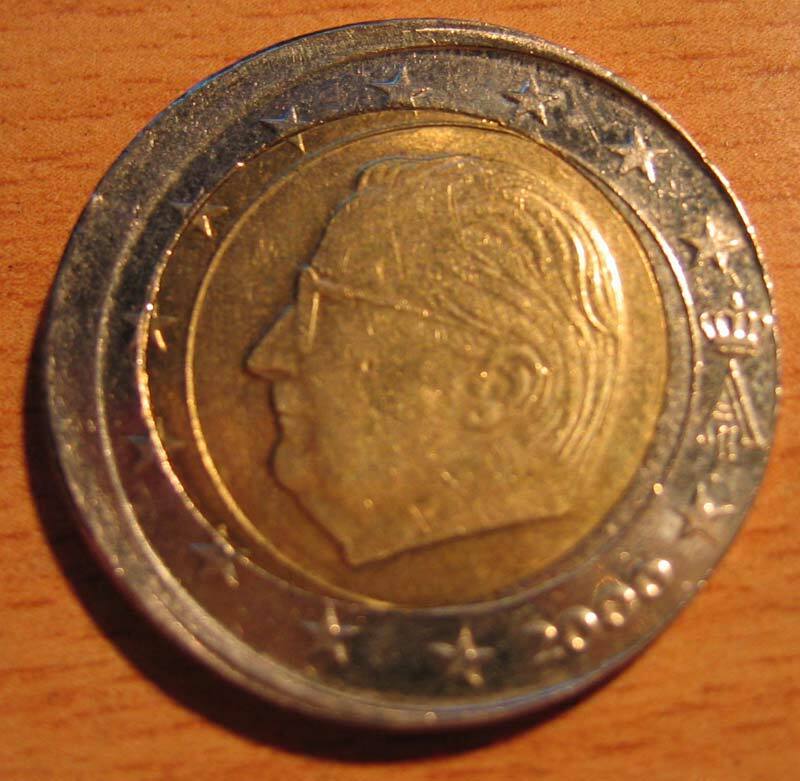 This nice error is provided by jozef smolka, the die error on the nose of the king it is very big. thank you for nice images.